It adopts widespread radian designs, feel more intimate and comfortable. It is also assembled with changeable atomizer C2 head ensure the high voltage, high output and heavy vapor. Joyetech eCom-C Metal Tube Atomizer Kit - Cone Shape/Type C adopts widespread radian designs, feel more intimate and comfortable. The seamless connection make it smooth to the touch. It is also assembled with changeable atomizer C2 head ensure the high voltage, high output and heavy vapor. • eGo thread ensures high compatibility. • 2.4ohm resistance allows it to work under wattage(5.1W to 10W). • Unique design allows heavy vapor in a short time. • It comes with eGo thread. 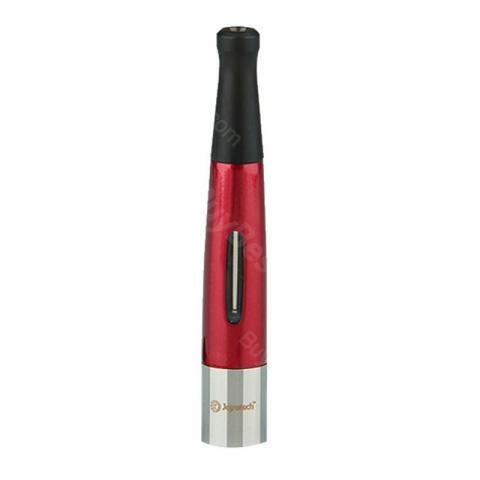 • It uses special C2 atomizer head/coil head. • No e-liquid comes with it. You shall order separately. Joyetech eCom-C Atomizer - Type C made of stainless steel and pyrex glass. Cylinder shaped available in different colors. With variable voltage and high compatibility. Has a 4ohm resistace that allows it to work under different wattage. I never believe this, the function of this product surprises me a lot, it works perfectly fine,no two ways about it, tested and trused it serves me well. Does exactly what is say on the tin.... It doesn't leak! Have been through 4 tanks in the last month or so, all of which have leaked to varying degrees. This tank doesn't even when in pocket all day. All parts are very well designed and made from high quality materials.